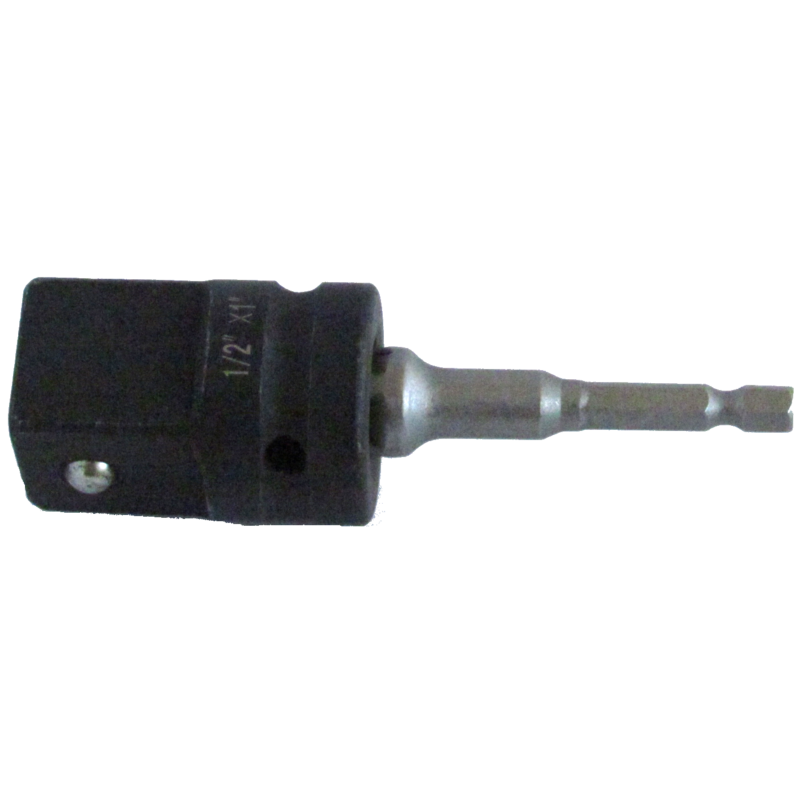 This drill bit adapter with 1/2″ drive is required to use a power drill to quickly remove loosened lug nuts. 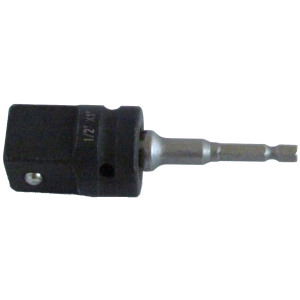 It is needed in order to use our specialty adapter. 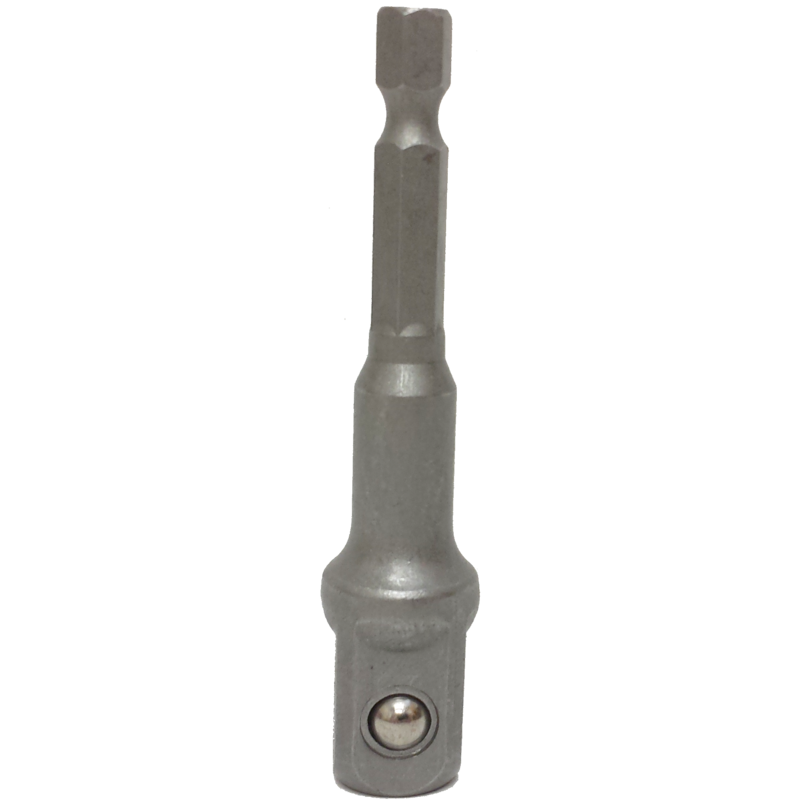 Click here to see our socket adapter. 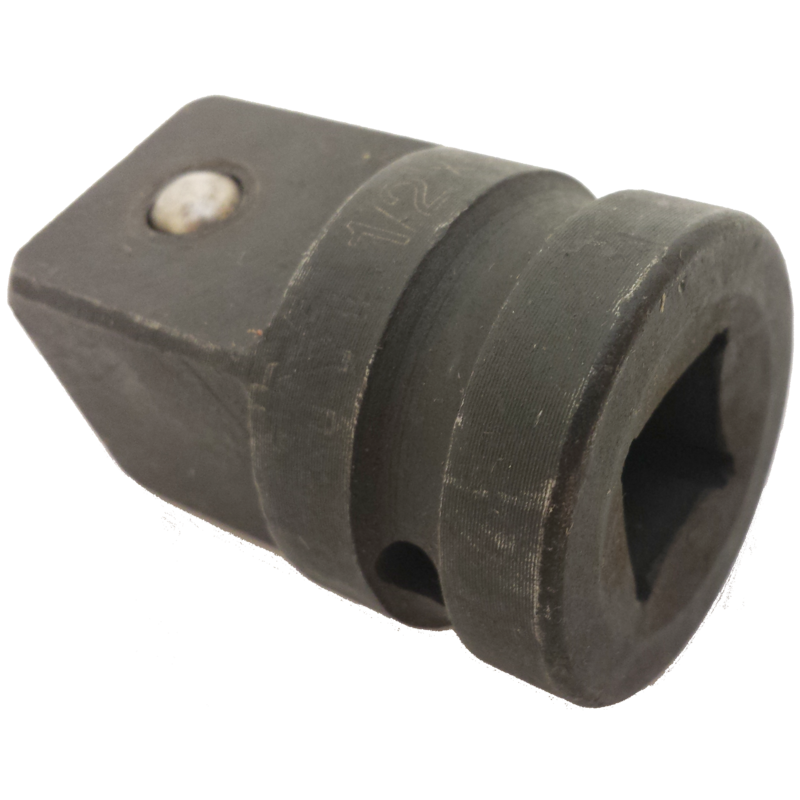 This product is to be used with our 1″ male to 1/2″ female socket adapter to quickly remove loosened lug nuts. 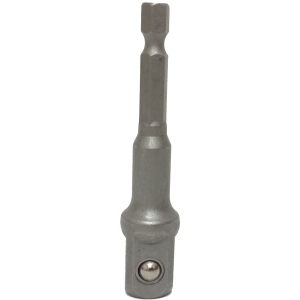 » Click here to see the socket adapter.